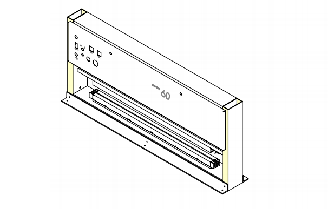 Custom heat sealers can seal custom shapes in plastic materials. 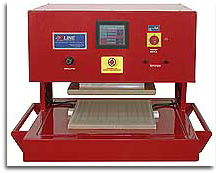 Medical products, industrial and consumer products can be made by this equipment. Equipment will be designed to your specific needs. 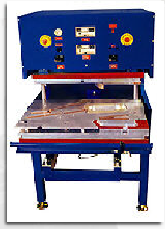 Dual element custom horizontal heat sealer with flying knife between the heating bars.